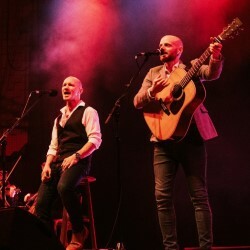 Critically acclaimed as one of the world’s greatest tribute shows, Simon & Garfunkel Through the Years returns to the Edinburgh Fringe after five consecutive sell-out years with an all new production. Featuring a full live band and stunning vocal harmonies, this spectacular concert takes audiences on a journey through songs and history of Simon & Garfunkel. Hear all the hits such as The Sound of Silence, Mrs Robinson, The Boxer and the iconic Bridge Over Troubled Water. Tickets sell fast so book early to avoid disappointment!